With on-board multi-year data logging abilities collect and manage live and historical data. 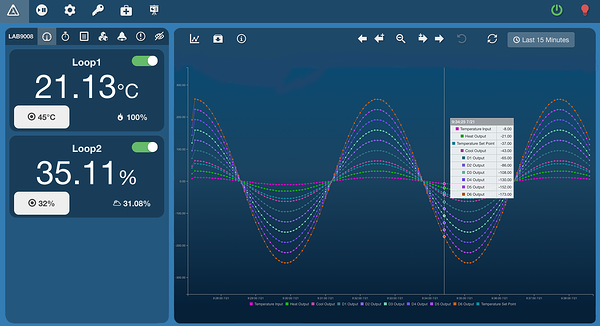 You can view and analyze data with pause and resume control of live plotting. An interactive activity log records what the chamber calls for and allows you to add entries as you view the events currently being logged. Additionally, you can create custom datalog reports that allow you to zoom in on specific data points in a vivid graph for or zoom out for an overall understanding of the profile behaviors. You can look at custom specified date ranges including up to 8 years of data in the on-board archives. Custom color settings can be assigned allowing you ultimate control when you are viewing your graph. Easily share data with collaborators or download the data, at any point during or after testing has finished, either as a CSV or TSV file for permanent records. This paperless controller digitally and securely stores data on a 1 GB internal non-volatile memory. There are USB and SD card memory keys to retrieve the data after collection and has ethernet networking capabilities. 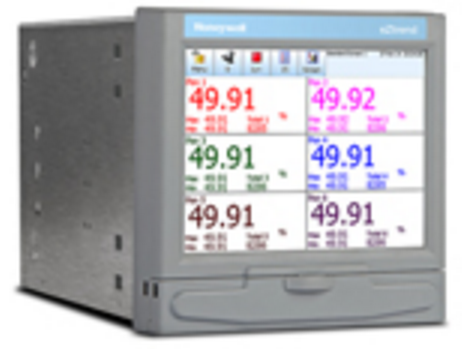 The eZtrend comes with a 5.7 inch color active TFT type display and supports up to 12 directly connected analog inputs that handle T/C, RTD and Linear input sensor types.